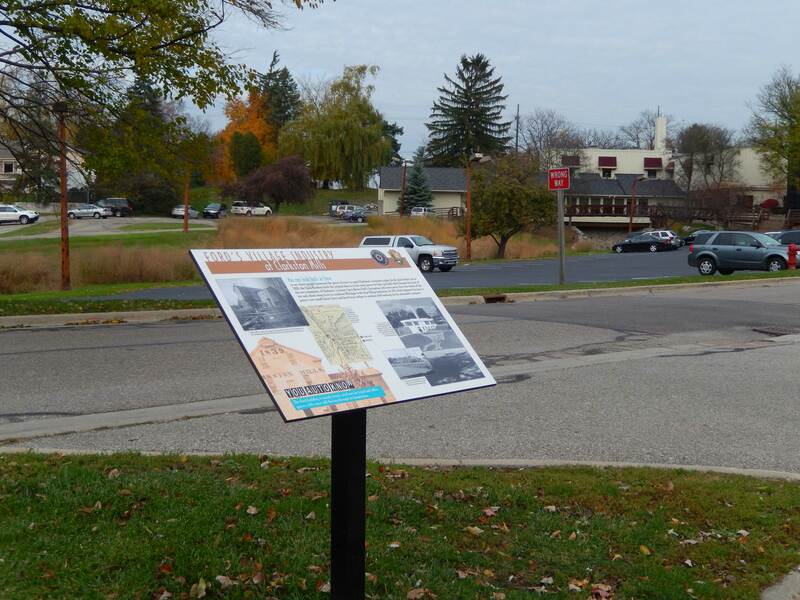 The Clarkston Community Historical Society is pleased to be a part of the MotorCities Wayside Exhibit Program, an undertaking to relate our community’s automotive stories and unify the related sites using interpretive signage. 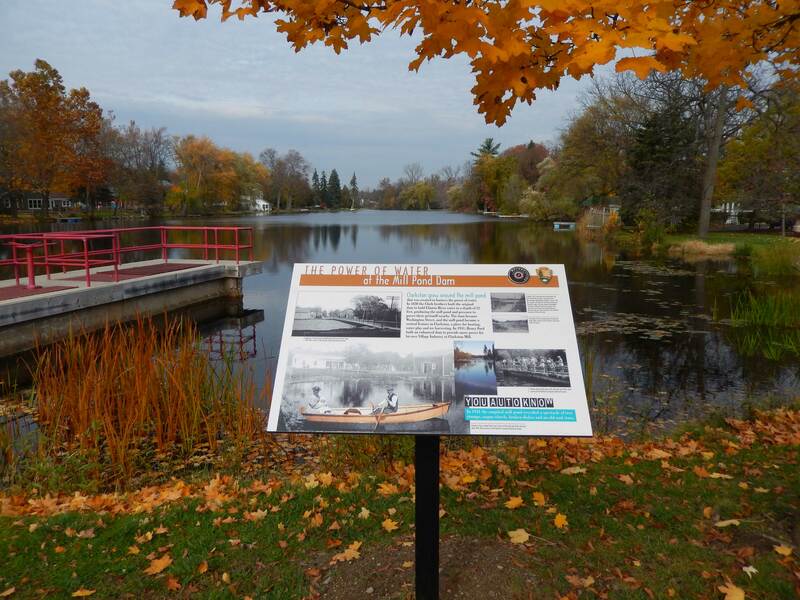 These signs are set strategically in places where people walk and gather: in parks, along greenways and sidewalks, in downtown commercial areas, and in other community locations. 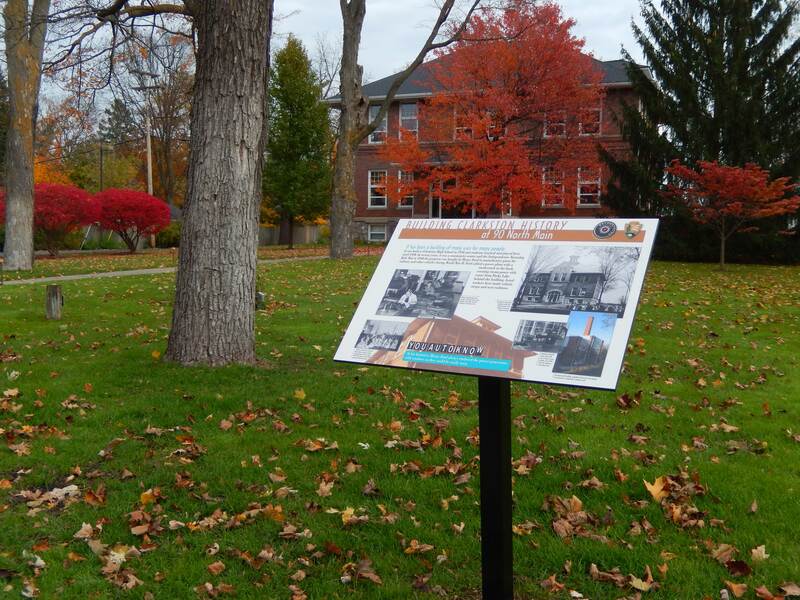 After over a year in research and development, the CCHS installed four Wayside signs in the summer of 2013. 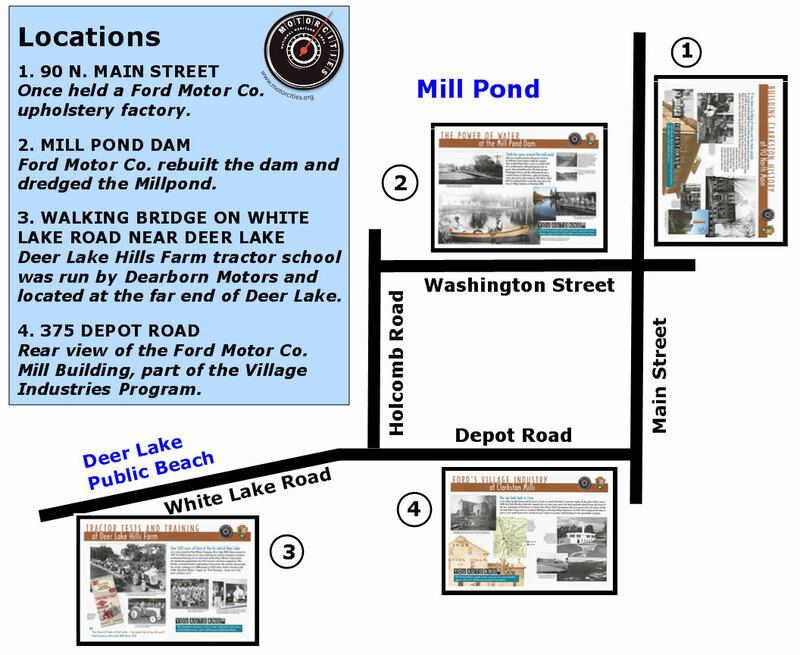 All four signs are within walking distance of the downtown community and each tells a different story of Henry Ford’s involvement in the village in the 1940s. 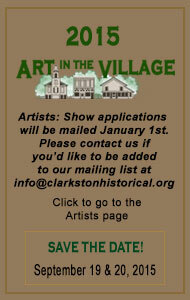 From the big flood when a temporary dam burst to our inclusion in Ford’s Village Industries Program. 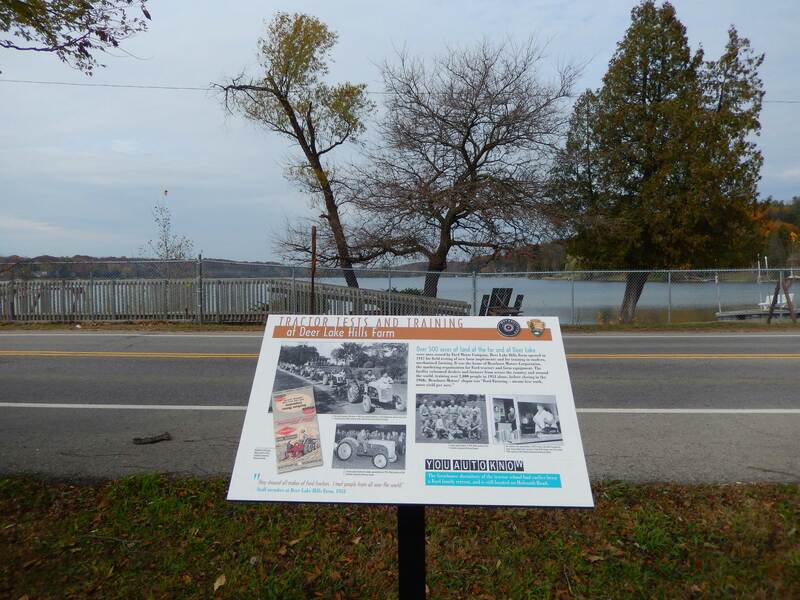 These signs are interesting, informative and fun and we are thrilled to be a part of this innovative program provided to tell the story of each community and its unique contributions to Michigan’s automotive heritage.